He is the second running back selected by the Seahawks, who took Notre Dame’s C.J. Prosise in the third round Friday. RENTON — With pick No. 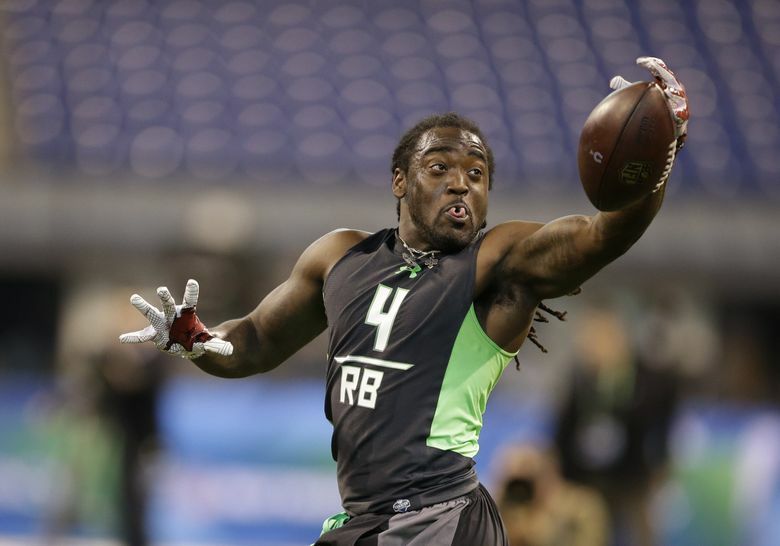 171 in the fifth round of the NFL draft on Saturday, the Seahawks selected running back Alex Collins of Arkansas. The Seahawks have Thomas Rawls set to replace retired starter Marshawn Lynch, but Rawls is coming off of a broken left ankle and they might be adding both some competition as well as depth as insurance. The 5-foot-10, 217-pound Collins gained more than 1,000 yards the past three seasons at Arkansas, becoming the third player in SEC history to top 1,000 yards in three consecutive seasons. He is also has decent hands and could help fill the third-down role the team needs. Collins was the MVP of the Liberty Bowl, in which he rushed for 185 yards and three touchdowns against Kansas State. One noticeable flaw? He had 16 fumbles in 696 career carries.